Parents, do you ever feel like this? Are you tired of trying to meet other people’s expectations of you as a parent? Mary Dravis-Parrish, brings her experience as well as her learning and certifications to address issues that parents face day to day. Being a child, living in a home of eight children, she discovered many styles to living, learning and coping, which lead her on a path to teaching children and working with parents to create more ease in family living. Mary’s parenting experiences include being a teen parent, single parent, co-parent, step-parent and a parent who lost her son to suicide. She understands the needs, demands, and dynamics that parents experience.The author of Empowered Parents Empowering Kids, A Guide to BE YOU Parenting, Mary shares simple strategies that have equipped hundreds of parents and children that have empowered families to thrive by living true to their unique way of being in this world. 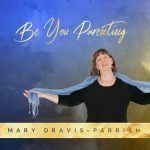 Applying her BE YOU parenting strategies, authentic training and tools, she facilitates change in people’s lives, so they have increased awareness, joy and fun in all areas of living.